Has your bulk bag supplier "Turned Out the Lights" on its U.S. production? How secure is your overseas bulk bag supply line? Are you buying from a broker or a company that doesn’t have domestic production? What happens if your bulk bags arrive out of spec, late or if you suddenly have a new product? AmeriGlobe’s importing process was designed with these questions in mind. Our import system was created with an emphasis on inspection and designed to catch the problems overseas rather than in your plant. We use custom designed software to track and monitor your bulk bag order through its entire lifecycle. Back-up for your import program is supplied by AmeriGlobe's own manufacturing facility in Eunice, LA. Here we can manufacture your custom designed bulk bags and modify or repair your overseas bags. With this plant on American soil, shipping lead times are reduced and our reaction times are compressed. AmeriGlobe knows the cost of a plant shutdown and will work to help you prevent this from happening. Our domestic lead times are perfect for new products and testing. We are capable of making small production runs that are not feasible from our overseas plants. 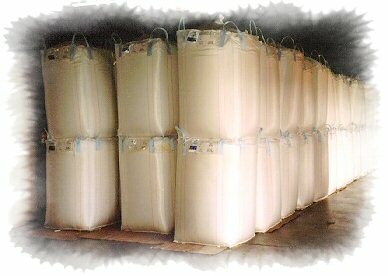 AmeriGlobe’s supply line guarantee makes us your safest choice as a bulk bag supplier. If you are comfortable with your current primary supplier, consider qualifying AmeriGlobe as your second source supplier. See how you can rest easy knowing that ANY bulk bag supply solution is just a phone call away!